Municipal courts are courts that handle city cases. Many cities will have their own self-standing court, such as Olympia, Yelm and Roy, while others will share a municipal court – the city of Rainier has its cases heard in the Tenino Municipal Court. Some cities will use the district court, such as the city of Lacy and some cities will even use the state prosecutors, such as Tumwater. Cities can only prosecute infractions, misdemeanors, and gross misdemeanors – and only those that take place within their city limits. A crime which takes place in Olympia cannot be heard in the Yelm municipal court. Similarly to a municipal court, a District court can only handle infractions, misdemeanors, and gross misdemeanors which took place within their jurisdiction. Thus, the Thurston County District court can only handle cases which took place in Thurston county (with very limited exceptions.) A district court can also handle anti-harassment orders and small claims actions. Thurston County only has one District court which is located right next to their Superior court. Most counties only have one location but some have multiple, such as King county and Snohomish county. District courts can also be contracted by cities to handle their own municipal cases, such as Lacy is doing. This is very common in other counties as well. 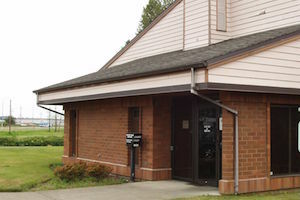 The Thurston County Superior court handles felonies, domestic relation cases (divorce and parental actions,) civil cases involving property, and appeals from lower courts. Domestic relation cases in Thurston county are handled in the Thurston County Family & Juvenile Court which is located in Tumwater. This is different than the Superior court which handles felonies and civil cases – that one is next to the district court in Olympia.